Taking care of your pet is much easier and rewarding when you, and your pet, are feeling your best. Unfortunately, your pet might get sick on occasion or you might find that you are allergic to your pet. If you have a pet that is sick or one that you are allergic to, the tips in this section can help you cope with the situation. There is an article about giving medication to dogs. For the allergy sufferer, there are some great ideas to help you deal with asthma and other symptoms that pets can cause. The following articles are available for the 'Health' topic. Click the article''s title (shown in bold) to see the associated article. Whenever you think of animal allergies, you may think that you're just allergic to the fur. Believe it or not, however, pet allergies are actually not related to fur, but to something else. Asthma is a frustrating ailment to suffer from, and sometimes having pets can aggravate that asthma. Here's how to breathe easier with pets and asthma. 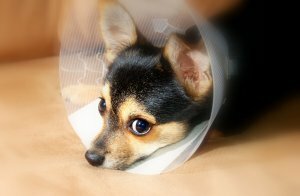 Dog ear cleaning is an often overlooked portion of basic pet care, and sadly one that if not done regularly or properly, can cause a lot of unpleasant problems. In order to get your dog's ears cleaned properly, all you need to do is follow these simple directions. Heartworms are a fairly common parasite that can afflict both cats and dogs. Unfortunately, if they are left untreated it is a problem that can possibly kill your pet. Learning what heartworm symptoms are, and how to recognize them, is a great way to help protect your best furry friend.